The roof is designed to shield your home from all kinds of threats – from inclement weather to wind-driven debris. While roofs are generally resilient, even the most durable roofing materials still require care and maintenance. Signature Exteriors shares three ways to keep the roof in good condition. 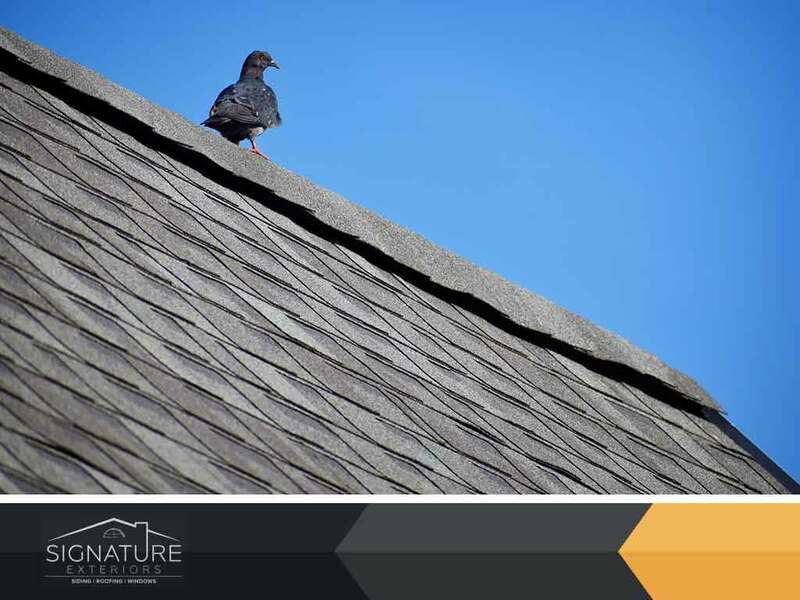 Leaves and branches may seem harmless when they end up on the surface of the roof, but they will do passive damage to the surface or shingle field if left unattended. In the case of asphalt roofs, the branches and leaves can cause the protective roof granules to fall out prematurely. Ask any roofing contractors and they’ll always recommend you to invest in roof cleaning. We agree; not only does it keep your roof in good condition, but it also preserves its looks, too. The gutters are the most forgettable part of the roof despite its large role in keeping it dry and leak-free. To keep the roof in good condition, you want to regularly clean the gutters and keep them clog-free. This avoids the risk of water spilling on the roof edge and creating leaks. A leak may appear harmless at first, but they will grow in size in just a matter of weeks if unaddressed. Clean the gutters regularly and you reduce the risk of roof leaks. Finally, schedule a preventive roof repair project. This allows you to head off problems like leaks and structural concerns when they are still small and easier to handle. Not only does preventive repair keep the roof in good condition, but it also extends its service life. As one of the top roofers in Connecticut, Signature Exteriors will help you keep your roof in good condition throughout the year. We have been providing quality roofing services to homeowners since 1951. Call us today at (866) 244-8029 to learn more about our services. We offer complete roofing services in Stamford, CT.